· For continual flowering, keep the flowers cut. Grow best in full sun or part sun and shade. Easy to grow. 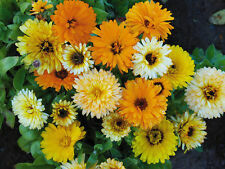 Calendulaâs are not choosy about soil. The majority of our seed are now supplied in quality clearly labelled foils to ensure the freshness of seeds. 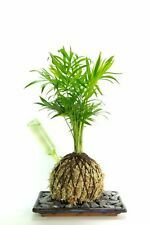 With your single order, you will get 1 fresh viable bulb/seed. 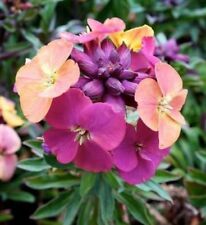 The brilliant multicolour flowers last well as cut flowers or dried flowers. 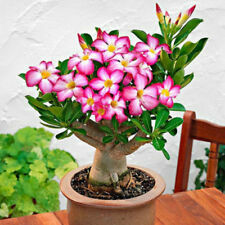 The plant prefers loose soil, good drainage, moderate water, and mostly sunny locations. Sow Salvia flower seed in starter trays and press the seed into the soil. Alveolo / Alveolar. OTHER INFORMATION. ALTRE INFORMAZIONI. along with the plants. Age: 1 anni/. Origin: Cina e Giappone / China and Japan. Family: Scrophulariaceae. Red sphagnum moss for sale 100gr. Perchè lo sfagno rosso è migliore di quello verde?. 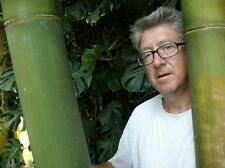 Non solo un fatto estetico, bensì lo sfagno rosso è più lento a crescere, e questo è un fattore importante per piante che sono lente a crescere, sopratutto per le piante carnivore. 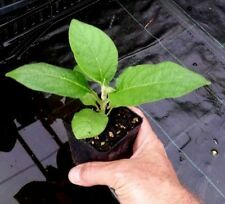 Neues AngebotMurraya koenigii CURRY LEAF TREE - Seeds! Murraya koenigii. It is a beautiful shrub or small tree that gets great glossy evergreen foliage that is used in many dishes around the world and beautiful white flowers that are amazingly fragrant - similar to Orange blossoms. Give your Clivia a good soak once a week and let it drain off. If you water in between it should be sparingly. Grow your Clivia strictly in indirect light: a bright North-facing window is ideal. 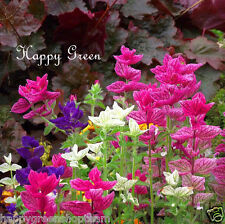 Direct sunlight must be avoided, although the plant will probably survive short periods early or late. Donnerwurz, Jovibarba, Steinrose, oder auch "heimische Aloe Vera" genannt. Serperviven sind Verwandlungskünstler und bei 30 Exemplaren können sich manche vorübergehend ähneln und sich wenige Wochen später völlig unterscheiden. Fragrant flowers bloom gives off a pleasant fragrance from mid-June to late October. FRAGRANT FLOWERS SEEDS. Seeds have phytosanitary certification and are laboratory proven to have high germination. We are sure that we will give you the best solution in every single trouble that you want us to resolve. Applications: Balcony, garden,farm, etc. For germination temperature: 18-25 Celsius. Type:Succulent Plants. Acer palmatum 'Atropurpureum'. Acer palmatum. Acero giapponese rosso. Habitus: Small tree - deciduous plant. 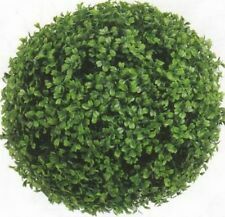 Habitus:Piccolo albero - pianta caducifolia. We accept Corriere espresso. Pot: Forest alveolus. What a gorgeous display of color grown from Lobelia seeds. Lobelia seeds are easy to start and quick to grow. Lobelia is a very popular annual that adds striking color to many diverse settings. Use Lobelia plants in containers, hanging baskets, edging along the flower garden, and as a general ground cover. (Lychnis Chalcedonica). This Lychnis, also known as Maltese Cross or Jerusalem Cross, is easily established by sowing Lychnis seeds. Hummingbirds cannot leave the blooms alone! It is a hardy and easy perennial for any sunny border. Ophrys fusca ( sombre bee orchid or dark bee orchid bulb ) orchid bulb. The Ophrys. FLOWER IMAGE IS ONLY FOR ILLUSTRATION REFERENCE. With your single order, you will get 1 fresh viable bulb/seed. They should flower in 1 - 2 years. Available for personal collection in the Bristol area. Poppy Double Violet Blush (Papaver Somniferum Double violet Blush) - Start Poppy seeds for this showy annual with intensely rich double violet petals. Poppy Double Violet Blush is a stunning variety, and it is especially gorgeous when planted in mass groupings. V. PAKCHONG BLUE. ORCHIDEE VANDA. da auch wir uns auf die thailändische Beschriftung der Pflanzen verlassen müssen! DAS BLÜTENBILD ZEIGT, WIE DIE ORCHIDEE BLÜHEN WIRD. Gesamtrechnung erhalten! Vielen Dank. GESAMTHÖHE CA. 20 CM. ~~~~~~~~~~~~~~~~~~~~~~~~~~~~~~~~~~~~~~~~~~~. Pianta carnivora a radice nuda. 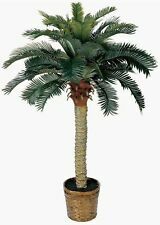 Le piante possono essere di differenti tipi per esempio con le bocche rosse, verdi,i denti lunghi a sega etc. L'invio è casuale. Ho un elenco abbastanza lungo di piante carnivore disponibili. Betula pendula. Presenta un tronco eretto e slanciato, la corteccia è liscia e sottile di colore bianco e si desquama in sottili strisce orizzontali grigio argentate. Vaso: alveolo foestale. Betulla bianca. Ophrys speculum mirror orchid bulb. The Ophrys. With your single order, you will get 1 fresh viable bulb/seed. Vanilla plants are climbing plants that prefer high humidity and bright, indirect sunlight. The vanilla bean plant is a flowering vine that is actually part of the orchid family Orchidaceae. The most common vanilla bean plant is the flat-leaved vanilla plant (V. planifolia). Kenilworth Ivy (Cymbalaria Muralis) - Grow this lovely ground cover from seed! With scalloped leaves, and pretty lilac colored blooms, Kenilworth Ivy makes a wonderful ground cover plant. 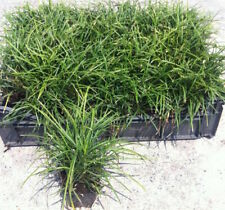 It performs well even in full shade, and it loves to cascade down a stone wall or spill over the sides of containers. Calathea Network Prayer House Plant. A new addition to this family of plants which is grown for their beautiful leaves and wow! this plant is stunning. The leaves are a rich green which looks like a mosaic or a stainglass window with slightly scalloped edges. Dicksonia antarctica is the most iconic of large ferns grown in the Uk. 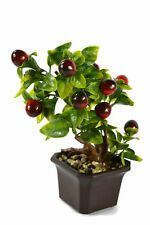 With an unsurpassed elegance and primordial visual effect it is a plant of oustanding beauty. One application gives all the nutrients the plant requires for the whole year. Cosmos (Cosmos Sulphureus Mix) - What a dazzling display for your garden grown from Cosmos seeds! Treat yourself to a mass planting of these golden-red colored Sulfur Cosmos and attract butterflies and other beneficial insects to your flower garden. COLUMBINE MCKANA MIXED SEEDS. (Aquilegia coerulea). Seeds have phytosanitary certification and are laboratory proven to have high germination. Season: Perennial. Depth: Press the seeds into the soil. DAISY ENGLISH SEEDS - POMPONETTE MIXED. Bellis perennis. Seeds have phytosanitary certification and are laboratory proven to have high germination. 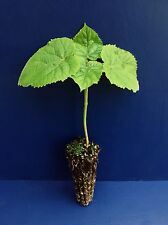 Easy to grow from seed, they grows only 15 to 20cm (6-8in) high forming a low cushion of evergreen leaves which bloom in either in sun or part shade. Purplish Lilac Lemon Bee Balm (Monarda Citriodora) - Start these flower seeds for a wonderful annual that attracts beneficial insects. Often late in the season the scent is described as resembling oregano more than lemon. GIANT SUNFLOWER - TITAN - HUGE 18-24IN HEADS - 12FT HEIGHT - 40 SEEDS. One of the tallest-growing and easily the biggest-headed and seeded variety available to gardeners. Perfect for impressing your neighbors and winning competitions. · Soak seeds overnight in warm water for 24 hours before planting in early to mid spring under cover with warmth. The majority of our seed are now supplied in quality clearly labelled foils to ensure the freshness of seeds. 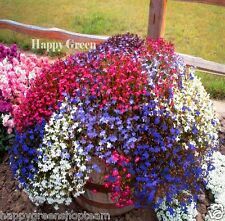 PHLOX - DRUMONDII - BEAUTY MIX - 400 FLOWER SEEDS. Will tolerate dry conditions. The majority of our seed are now supplied in quality clearly labelled foils to ensure the freshness of seeds. A small number will be in sealed Ziplock pouches dues to seed size. Innerhalb von nur 3 Jahren regeniert sich also der gesamte Bambuswald. Es ist einsehr gutes Holz, das man zum Bauen, für Möbel oder für Häuser verwenden kann. Jüngeres Bambusholz ist noch biegsam. Bambus ist eigentlich eine Grasart, deswegen wächst es auch so schnell. Lychnis Catchfly flowers are excellent for cutting. Deadhead faded blooms to encourage prolonged flowering. White Lychnis Viscaria is attractive to butterflies. The foliage usually remains evergreen in mild winter regions. Variety: Succulent. Product Type:Bonsai. Style: Perennial. Model Number: Seeds. Classification: Novel Plant. We are sure that we will give you the best solution in every single trouble that you want us to resolve. Hoya carnosa - HINDU ROPE!!! Great looking Hoya - RARE! Gorgeous! Cutting. Philodendron gloriosum - Awesome - colorful variegated leaves! SMALL.